TNCS Students Get the Wiggles Out and the Learning In! The irony is, kids can’t pay attention if they aren’t permitted to move! Moving gets adequate blood flow to the brain—enough that the brain is awake and ready to get to work, not sleepy and dulled. Many experts suggest that fidgeting is actually a sign that the brain is trying to turn itself back on. 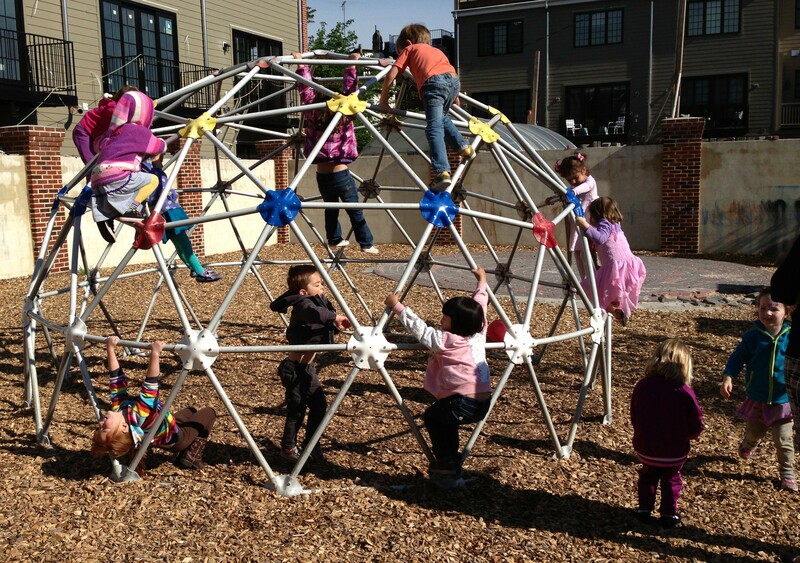 Climbing, running, and jumping are crucial ways for kids to recharge their brains for learning! TNCS educators know that the mind–body connection is supremely important, and that exercise and play do not necessarily have to be limited to scheduled gym classes or recesses. Teachers are encouraged to incorporate movement into the daily routine at regular intervals to stimulate blood flow to the brain in a variety of ways. When kids take a break from the books, their cognition actually improves. While doing their work at the computer, elementary students have the option of sitting on stability balls to simultaneously work on their core strength. Ironically, many children are walking around with an underdeveloped vestibular (balance) system today–due to restricted movement. In order to develop a strong balance system, children need to move their body in all directions, for hours at a time. Just like with exercising, they need to do this more than just once-a-week in order to reap the benefits . . . We quickly learned after further testing, that most of the children in the classroom had poor core strength and balance. In fact, we tested a few other classrooms and found that when compared to children from the early 1980s, only one out of twelve children had normal strength and balance. Only one! Oh my goodness, I thought to myself. These children need to move! TNCS teachers are getting quite creative in finding other ways to incorporate movement and are seeing positive pay-offs. For “Teacher’s Choice” time one afternoon a couple of weeks ago, elementary teacher Dan McDonigal decided to take advantage of being located so near the Inner Harbor. His class embarked on a walking tour to take photos of their surroundings and got a spontaneous tour of The Pride of Baltimore II (a replica of the civilian vessels that were used to capture British merchant ships and were critical to our victory in the War of 1812). That walking tour brought together many important TNCS themes, in fact—movement, history, our local community, and art. Taking a walk to stretch their legs and snap some great Baltimore photos during Teacher’s Choice time! Elementary students lucked out and got their own personal tour of the Pride of Baltimore II! Mr. McDonigal’s class get to put their history knowledge to the test in an impromptu Q&A on the Pride of Baltimore II! Singing, Dancing, and . . . Sweeping?! When Teresa Jacoby starts to see signs of inattention in her kindergarten/1st-grade class, she plays movement games with the whole class. One, that is similar to “Simon Says” but with an important twist, requires merging physical and mental deftness to play. The trick is that they have to mimic the last movement she made while she has moved onto another movement. It’s surprisingly difficult to do, but she is sharpening their minds even as they have a ball! Her students managed to tap into and draw from the two brain hemispheres simultaneously, that is the key to pulling this off, much more readily than their parents did at Back-to-School Night! Another way Mrs. Jacoby harnesses the mind–body connection is by having her students bounce on the exercise trampoline while reading/learning sight-words. In the Montessori and pre-primary classrooms, movement is also a natural part of the day. These students are learning independence and self-regulation and are given the freedom to move about the space to pursue their activity of choice. The Practical Life lessons in the Montessori classes are very much about moving and doing, at their core. Activities such as flower arranging and sweeping/tidying are fun, practical ways to get kids up and moving while boosting their self-esteem as they experience what it’s like to contribute meaningfully to their classroom and group. All of the younger TNCS students participate daily in songs accompanied by movement. Finally, yoga, which has always been in the mix to varying degrees, is now being taught regularly by our very own Head of School Alicia Danyali. She uses yogic techniques with the older elementary students to cultivate mindfulness and focus in addition to gentle exercise. These students take to it like naturals. They seem to genuinely appreciate the opportunity to stretch, relax, and take a break from class. Mrs. Danyali is a certified yoga instructor and a very skilled educator to begin with. She had them breathing and flowing like veteran yogis and yoginis within minutes. Importantly, she shared with them that the breathing techniques they were learning could serve them well in other contexts, too. Anytime they need to regroup or regain focus or equilibrium, they now have some tools to help them arrive at a calmer place. School-wide, TNCS students are demonstrating that being allowed to be kids makes them all-around better learners! This entry was posted in Early Childhood Education, Elementary Education, Physical Education, Progressive Education and tagged exercise stimulates cognition, How Finland Keeps Kids Focused through Free Play, physical education, Put the Physical in Education, Recess: Its Role in Education and Development, The Pride of Baltimore, Why so many kids can’t sit still in school today. Bookmark the permalink. ← Back-to-School Night: Meet New TNCS Teachers and More! 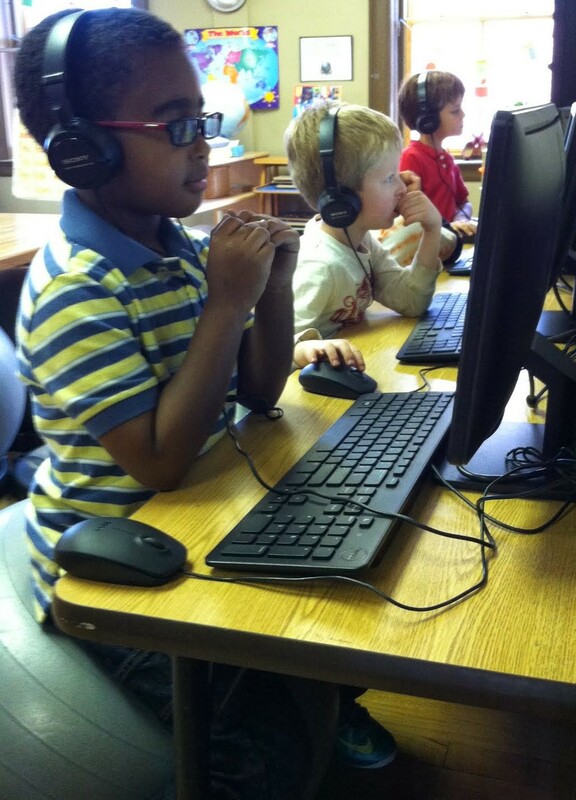 Pingback: Immersed | Phys Ed Is Going Strong at TNCS!